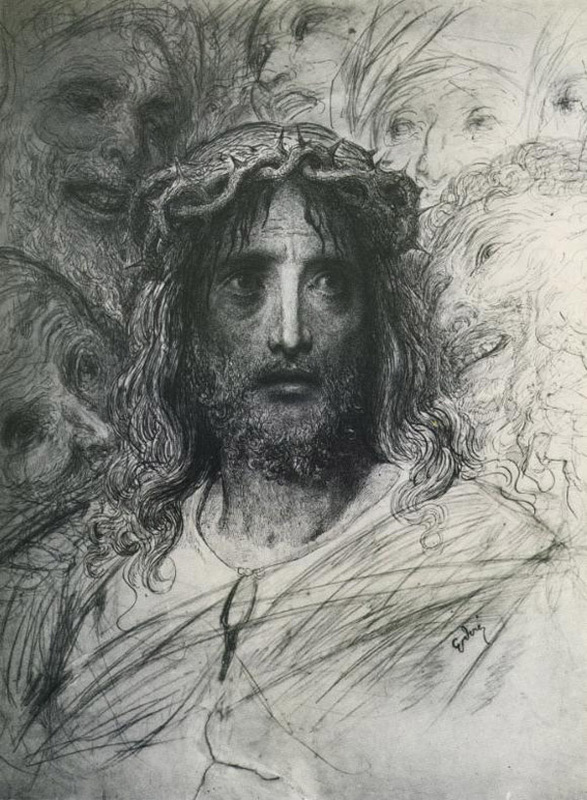 O Jesus, who in Thy cruel Passion didst become the “Reproach of men and the Man of Sorrows,” I worship Thy divine face. Once it shone with the beauty and sweetness of the Divinity; now for my sake it is become as the face of a leper. Yet in that disfigured countenance I recognize Thine infinite love, and I am consumed with the desire of loving Thee and of making Thee loved by all mankind. The tears that streamed in such abundance from Thine eyes are to me as precious pearls which I delight to gather, that with their infinite worth I may ransom the souls of poor sinners. O Jesus, whose face is the sole beauty that ravishes my heart, I may not behold here upon earth the sweetness of Thy glance, nor feel the ineffable tenderness of Thy kiss. Thereto I consent, but I pray Thee to imprint in me Thy divine likeness, and I implore Thee so to inflame me with Thy love, that it may quickly consume me, and soon I may reach the vision of Thy glorious face in heaven! Amen.